I apologize to those who did not see the photos in the original post. I hope I have fixed the issue. On a day when NYRA announced attendance of 36,471, the people CEO Chris Kay likes to refer to as “guests” did not appear to appreciate Kay’s self-indulgent monument to himself. 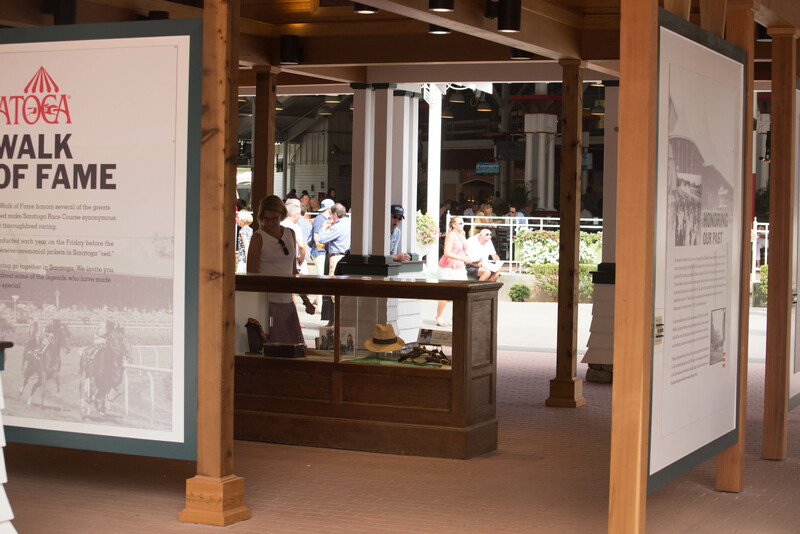 The structure houses plaques and memorabilia for winners of the Saratoga Red Jacket – or, as Kay has said, the “prestigious Red Jacket.” This is something Kay started two years ago to honor personalities whose accomplishments have been a major part of the Saratoga charm over the years, such as Allen Jerkens, Angel Cordero and Tom Durkin. Another part of that charm, of course, are the tall trees that populate Saratoga’s backyard, providing shade and natural beauty. Kay had six of those trees cut down to build his structure – something no one ever expressed a need for, and if these pictures are an indication, do not want. While the NYRA CEO can build a vanity project, he has yet to figure out how to repair an escalator that has been out of service for a year. 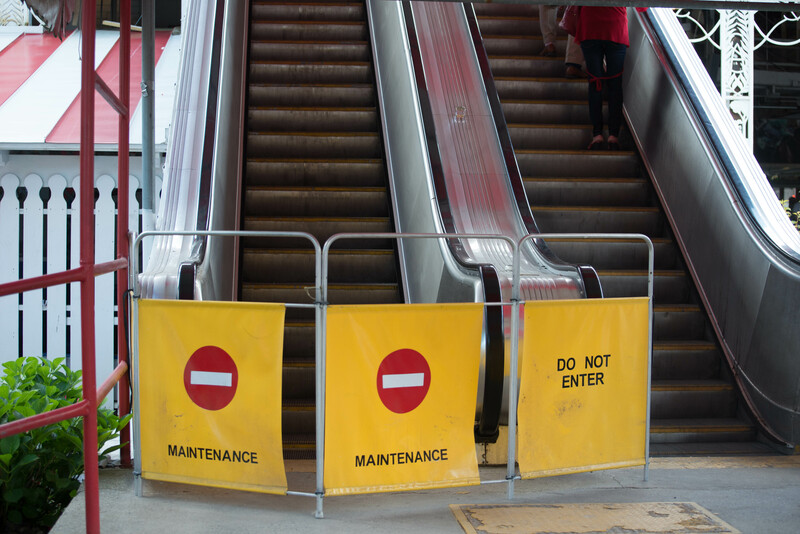 As anyone who has lived in an urban area or been to a shopping mall can attest, escalators do break down, but are repaired within days. On Wednesday, the NYRA Board announced that Kay would receive a $250,000 bonus for the past year. 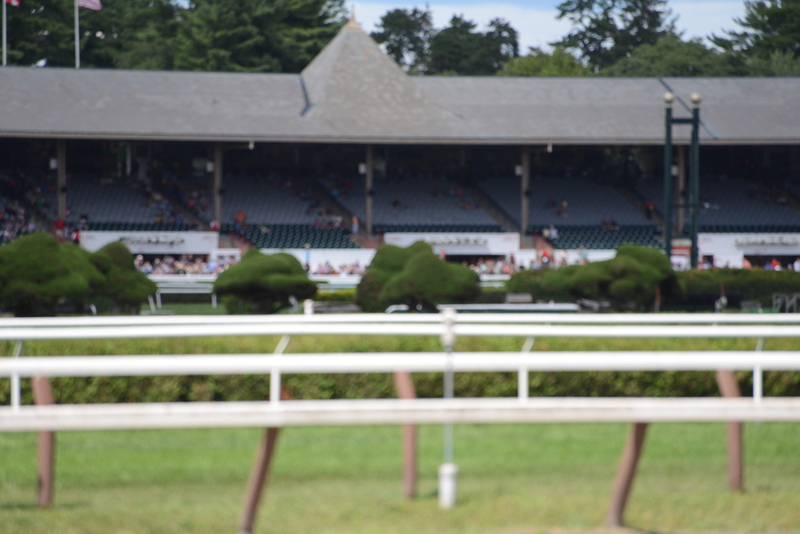 Isn’t it time for NYRA to end their false attendance silliness? 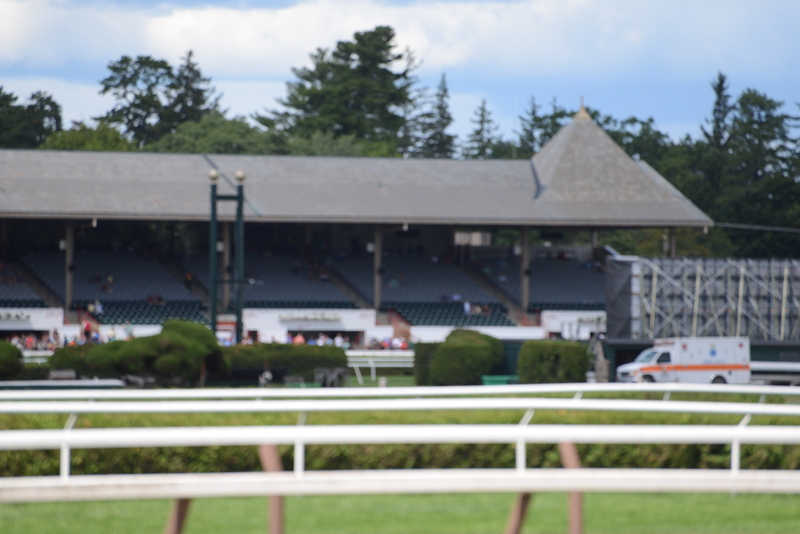 This was the last seven sections of the grandstand on Wednesday when NYRA announced attendance of 23,780. Last year it was revealed that NYRA was counting total season pass sales in the daily attendance whether or not the pass was used. This meant that the figures announced for the entire 2014 meet were inflated by 179,345, by counting pass holders who did not actually attend. On average, only 1 of every 6 pass holders actually go to a day’s races. Since the number of season passes sold this year are some 2,000 greater than last year, this year’s figures are even more inflated than last year. Also, I suspect that NYRA also counts the total number of reserved seats sold for each day even if the individual does not appear. NYRA did not respond to my request for comment on this. 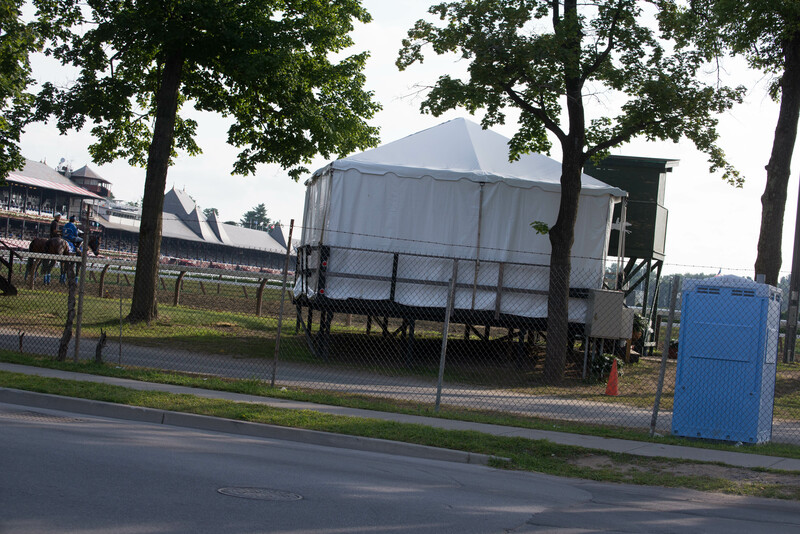 This outhouse appears to be a permanent fixture of the Saratoga environment. I assume it is there for the individuals who work in the tent when a race is being televised, but it was also there during the winter. It must be a major attraction for those who live across the street, as well as those walking by on Nelson Avenue.